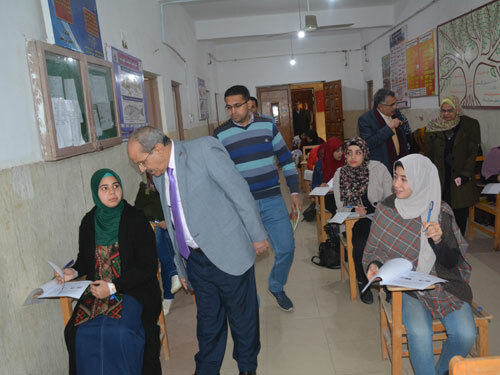 Prof. Ashraf Abd El-Hafeez, Acting President of Fayoum University accompanied by Prof. Khaled Atallah, Vice President for Education and Students Affairs, inspected a number of exams committees and controls at faculties of Dar Al-Uloum, Social Service, Agriculture and Science on Sunday, 13/1/2019. 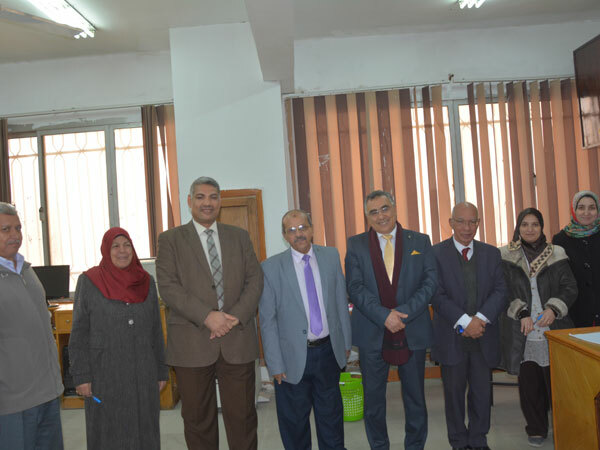 Prof. Ashraf Abd El-Hafeez said that the university is keen to provide all the comforts for the students to conduct examinations easily. 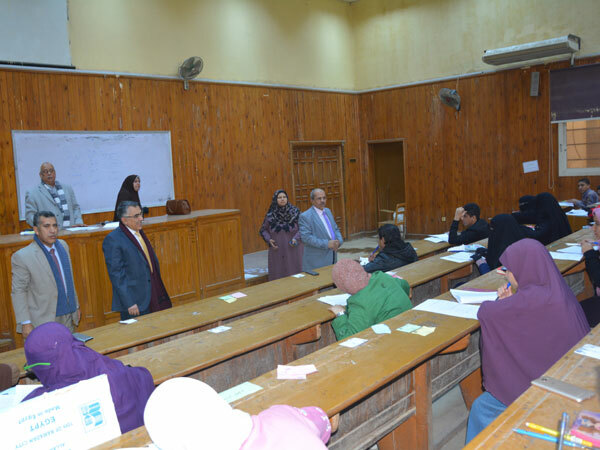 He stressed the importance of presence of professors in the committees to answer questions of students. 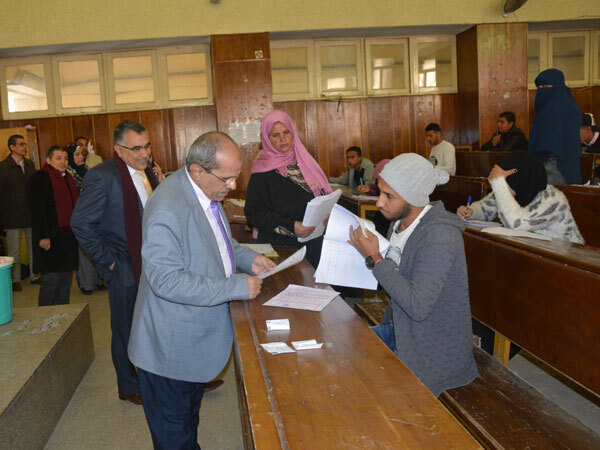 Prof. Khaled Atallah stressed the Students' commitment with the rules of exams and not to take any personal belongings such as mobile phone and Bluetooth headphones and to verify the identity of the student before the start of the exam. 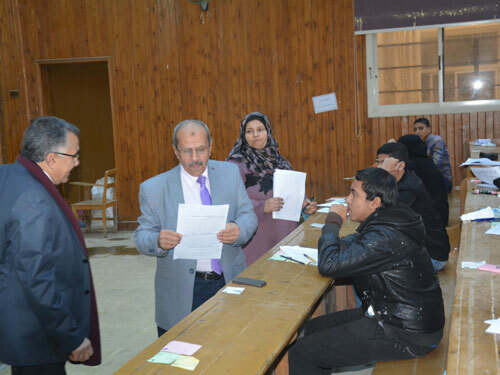 He also stressed the importance of preventing any attempts to cheat and the must of applying the law in any case.